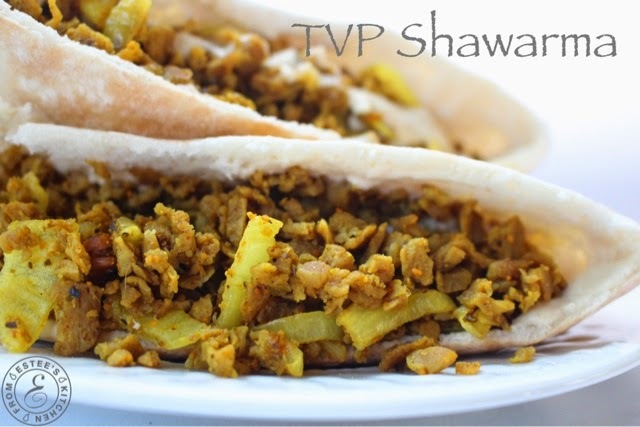 Shawarma is a classic Mediterranean dish that is loaded with spices and kick. There is something about the flavor that creates the best comfort food. 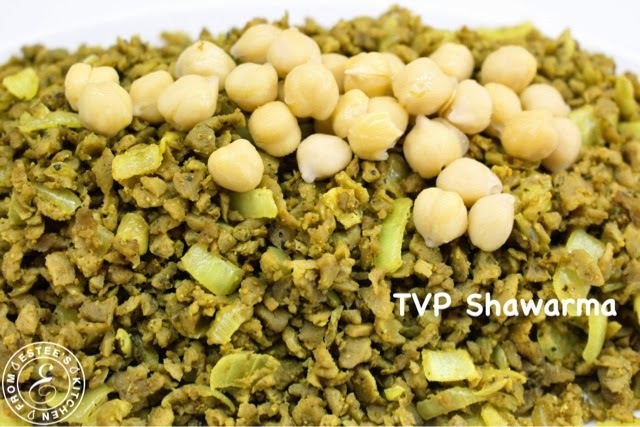 Shawarma spices can be purchased at any Mediterranean grocery store or online (Amazon). The best way to serve shawarma is in a pita pocket with hummus and drizzled with tahini. You can also choose to add an Israeli salad and you are done! Healthy and delish! It is a very easy and quick process that you can prepare and pack in for your kids' lunch the night before--they will love it! In a non stick pan add 1 tablespoon olive oil and the chopped onion. Sauté for few minutes until translucent. Add salt, pepper, shawarma spices and sauté for one more minute. Add the TVP, and agave, and keep mixing on low heat until all the flavors have distributed evenly. Cook for about 15 minutes, then add another tablespoon of olive oil and serve warm. You can drizzle tahini over it and serve in a pita with hummus.